Spelling Made Simple has been a Windows-based program for 7 years. Now this app has brought the popular application to the iPhone, iPod touch, and iPad (And soon to be Mac). 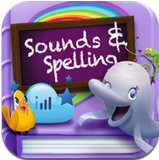 FREE educational game for children that teaches spelling and handwriting. 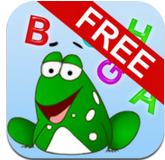 Help Wordy the frog build a beautiful magic garden by spelling words correctly. 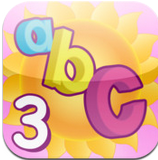 ABC SPELLING MAGIC 3 Gives the opportunity to practice spelling and building 5-7 letter words with consonant blends and syllables. 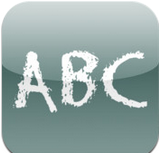 Have fun learning the ABC's and spelling with Smart Kid ABC. 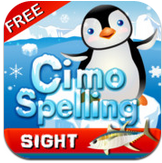 Featuring HD graphics, the app has been designed for little fingers and to facilitate learning at an early age. 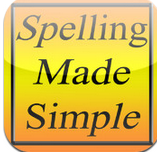 Free Spelling Mastery - a fun spelling game suitable for all ages and nationalities. Contains over 600 English words that are most commonly misspelled. You can also listen to how the words sound (in British English). 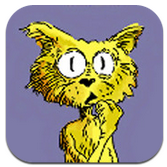 A reference dictionary containing spelling words from the game is also included. Sounds & Spelling is the latest children's learning book featuring popular Imagineer animals like parrots, pigs and octopuses with some new favourites like the dolphin and the fish! This interactive learning book teaches kids how to spell the names of 6 animals in the free version, and 9 animals in the farm pack upgrade. Plus they can listen to the sound the animal makes. 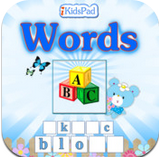 FREE and fun picture scramble word game designed by the iKidsPad team. 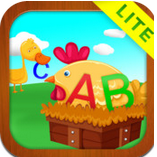 This free kid’s iPad app dynamically generates thousands of word scramble games at easy, medium, and difficult levels. An interactive learning game helps young children to spell more than 500 high frequency words. The Barron’s Painless book series just took Spelling to the next level, fun!Test your knowledge and then test your skill…It’s the ultimate Spelling and arcade game challenge! Test your word pool in this addictive word puzzle game! Find English words by linking adjacent letter beads left, right, up, or down. 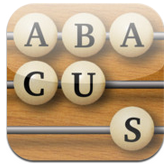 Shift the letter beads like an abacus to increase word possibilities. 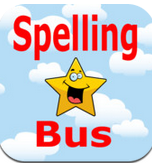 Spelling Bus is for learning to spell and practice to spell. Kids see the pictures and listens to the word and then type the spelling. 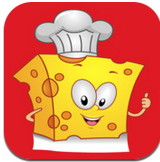 This is a great app for kindergarten through 3rd grade children. It teaches a combination of high frequency and sight words (from the Dolch Sight Word list). 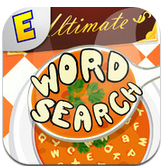 Ultimate Word Search Free (Wordsearch) has 11 categories filled with fun word search puzzles.